Of course, the excitement doesn’t end there. When it comes to purposeful yet intriguing interior styling, the new Porsche 911 sets the bar. Read on to learn more about its best interior features! Sport Seats: Standard sport seats meld performance and comfort, and include an electrically adjustable height function as well as a mechanical fore/aft adjustment. WiFi Connectivity: Unlike the BMW M4, the Porsche 911 allows you and your passengers to connect to a mobile hotspot as you travel around Redwood City, helping you reduce your phone’s data usage. Two-Zone Climate Control: You and your front passenger can personalize temperature settings using separate front-row controls. Optional Outward-Opening Sunroof: Enjoy a light breeze or a view of San Ramon’s bright and sunny sky with just the push of a button. 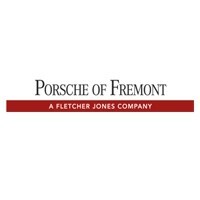 Tour the Interior of the 911 at Porsche Fremont! Step inside the 2018 Porsche 911 interior at Porsche Fremont, located near Walnut Creek and San Jose. Book your test drive online, or visit us at 5740 Cushing Parkway in Fremont, CA. If you have questions about the 911 price and how to obtain financing, contact us by phone at (510) 790-1111.